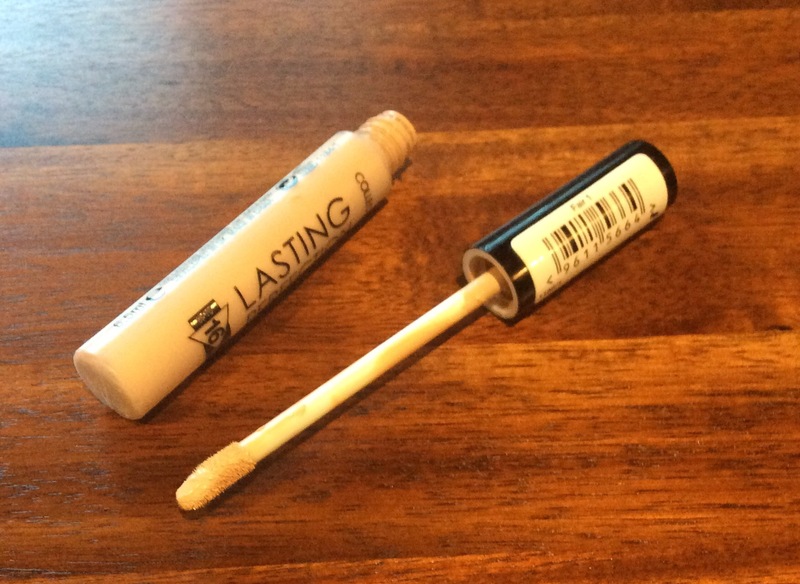 I wanted to let you know about a recent purchase of mine – the Collection Lasting Perfection Ultimate Wear Concealer – I had seen a number of good reviews so thought I would try especially as so reasonable priced at £4.19 (cheaper if on offer). The Collection Lasting Perfection Ultimate Wear Concealer (6.5ml) is available in four shades – Fair Shade, Cool Medium Shade 2, Warm Medium Shade 32 and Dark Shade 4 – I chose the Fair Shade as it is the nearest to my skin tone. It comes in a plastic container with a sponge wand applicator and black screw top. It states that it conceals flaws and blemishes for up to 16 hours, use with Lasting Perfection Foundation and Powder for the ultimate in long lasting wear. It is available in a number of stores but as I had advantage card points I bought it in Boots – although had to go to a number of stores before I got the Fair shade. This concealer has a v slight fragrance, not overpowering and similar to other concealers I have used, has a creamy consistency which when applied has a matt finish – I applied on slight blemishes, redness around the nose and I was impressed as covered them so well, also is buildable depending on the coverage you need. I find personally the best way to apply is to dab slightly with fingertips until you get the coverage you want (find this is best with most concealers) as I personally find if you try to rub it in, put on with a brush, settles slightly into any dry areas, pores, making them even more noticeable, however my tip to help with this is to put some concealer on your hand and blend with a little of your moisturiser before applying and this should help – always works for me. I find this concealer covers as well and is as long lasting as other concealers I have used and a lot cheaper, including the Estee Lauder Double Wear Stay in Place Concealer RRP £23.50 (although I have to admit the Estee Lauder one is slightly creamier, has SPF 10 and is 7ml, I do not think this still justifies buying in place of the Collection concealer – the Collection concealer may also even last longer if used with the Collection Long Lasting Foundation as they have advised). Even though I do love this concealer I still prefer my Bourjois Radiance Reveal Concealer for under the eye area as it is perfect for this, it is non drying, does not settle in any fine lines – please see my earlier post here for more details. I will definitely be repurchasing the Collection Lasting Perfection Ultimate Wear Concealer and would recommend trying it for yourself, if you haven’t already as it has surpassed my expectations. I have included two of the online sites below where it is available but as always shop around online or in store for best offers before purchasing – hope this helps. Superdrug: – currently reduced to £3.99 – remember cashback and your health and beauty card as well. If you have tried the Collection concealer before would love to know your thoughts.